Start your barbecues. 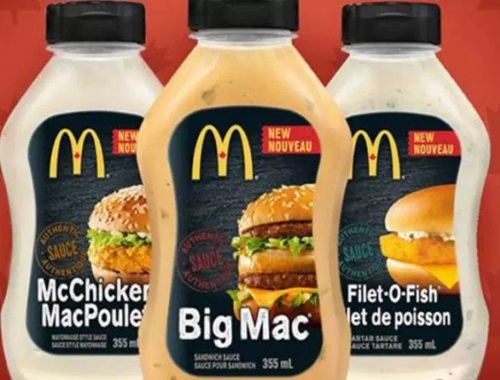 This spring, you can take home Big Mac, Filet-O-Fish and McChicken sauces along with your weekly groceries. I've read that you can basically dupe these sauces with thousands island sauce, tarter sauce and mayo but if love Mcdonalds and want to take it home I can see the appeal. Although the fast food corporation hasn’t released a specific launch date for the sauces, people have begun to find them in grocery stores across Canada! Have you spotted these yet? Let us know on our Facebook Page! Click here for the story from GlobalNews.